If there are two things I know about myself when I travel, it’s that for my own health and mental wellbeing, I need to get on local time immediately, and that I need to exercise. Last night, despite wanting to sleep right away, I powered through until about midnight and then went to bed so I could get up at 7:15 to go for a run. In addition to getting to know my neighborhood, running gives me a chance to combat jetlag and, of course, stay in shape. I have a tendency while traveling, especially when in Paris, to indulge in pastries. Oh, who am I kidding, I indulge in all kinds of food. The negative motivation for running: I need to lose or at least maintain my weight. The positive: I do it so I can continue eating that way (like 15th century Catholics who paid Indulgences to the church so they wouldn’t burn in hell). But this time, I found a new positive source of motivation: running from bakery to bakery. Don’t worry. I didn’t eat a pastry at each one. I just inhaled the sweet and savory scents of just-baked bread. It’s a scent that, unlike that of the bakery in my town back home, somehow manages not only to tickle my nostrils but also, like Marcel Proust and his tea-dipped madeleine, can suddenly transport me to vivid memories of past Paris experiences. 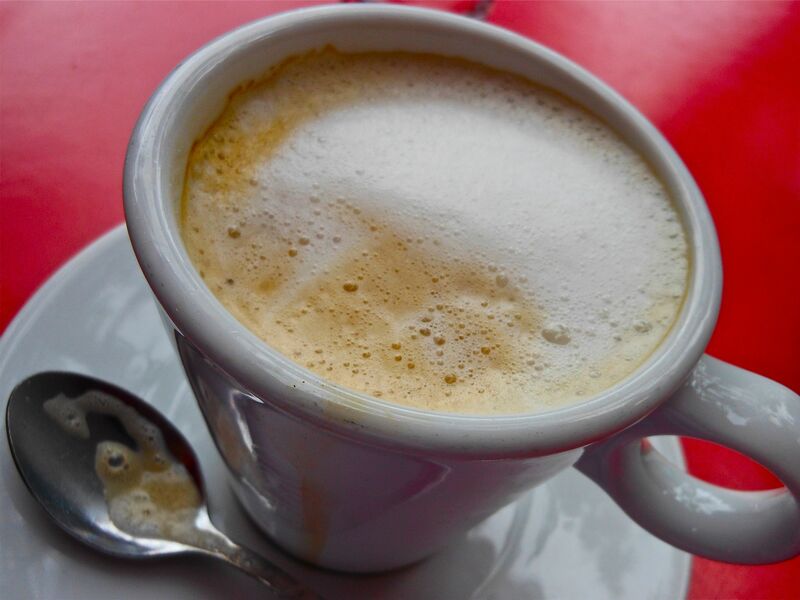 A grand café crème always hits the spot. In fact, whenever I come to Paris, my senses go into overdrive. While I’m always beguiled by the visual aspects of the monuments, art and architecture of the city, I’m often more intensely struck by the smells, tastes, and sounds of Paris: the aforementioned smell of fresh-baked bread; the taste of a buttery, flaky croissant dipped in a rich, hot café crème; the metallic, screechy rumbling of an approaching metro train; the warning buzzer you hear as the doors slide shut just barely after a man makes a flying leap into your train car; the constant hum of cars, motorcycles, bicycles bells and the chorus of various languages that are so commonly heard in such a cosmopolitan city. Paris is meant to be experienced. It’s not a series of photo stops and checking off lists of which paintings you’ve seen, which monuments you’ve climbed, or how many churches you’ve visited. There’s nothing wrong with doing those things, of course. In fact, it can be quite fun and educational. But traveling to Paris means becoming a part of the city, if temporarily, and letting it seep into you through all your senses. No other city feels like Paris. No other city sounds like it. Nowhere else can you get this combination of culinary, artistic, historic and cultural sensory stimulation that can at once make you feel part of the tradition, grounded in the moment and propelled towards an exciting future. Hyperbole? Maybe. But it sure feels real. I can’t wait to share my love of this city with my tour members. This is going to be a great summer.